Here on the Upper Mississippi it’s May, which means winter is just about over; people are creeping outside and beginning to put things on the grill; and the redolent smoke is floating through the late evening, a sign and seal of the approach of summer. 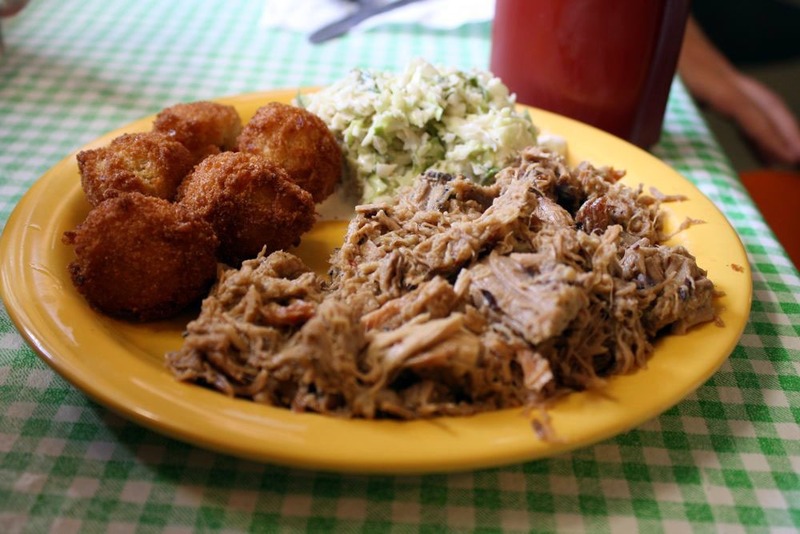 Sometimes these nice Midwestern folk call what they’re doing barbecue; and while they’re good people, that “just ain’t right.” Barbecue is … well, What Barbecue Is, and particularly what North Carolina Barbecue Is, happens to be the subject of this podcast. Once again, the eminence grease of Southern Sociology and Self-Understanding, John Shelton Reed, joins Al Zambone, this time to talk about North Carolina barbecue, the subject of a book he recently coauthored with Dale Volberg Reed and William McKinney. Holy Smoke: The Big Book of North Carolina Barbecue is not only a history and sociology of North Carolina barbecue; it’s not only a set of interviews with some of the foremost practitioners of the art; it’s also got recipes. It even has instructions on how to build your own barbecue pit so that you can cook a whole hog. Isn’t that something?